ROOF AND GUTTER CLEANING BOULDER CREEK, CA. Pure Light Window & Gutter Cleaning Service has offered professional roof clearing, gutter cleaning and downspout flushing to Boulder Creek residence since 1999. While many of our regular Boulder Creek customers enjoy our window cleaning services each year, the need for professional roof and gutter cleaning is always in demand. Boulder Creek is a great place to live, but with the massive amounts of trees and foliage, roof clearing and gutter cleaning are an absolute necessity. 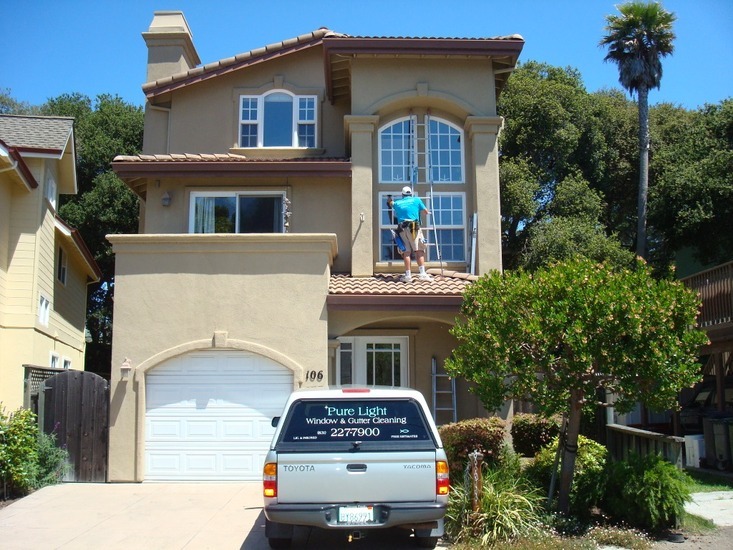 Pure Light Window & Gutter Cleaning has served the entire San Lorenzo Valley for well over a decade insuring that gutter cleaning systems are working properly and ready for whatever winter may bring. We are fully licensed and insured and look forward to earning your future business. If you live in Boulder Creek, and are requiring Gutter Cleaning, Roof Clearing or Window Cleaning, give us a call today.